- Pen y Pass - Pyg Track - Bwlch y Moch - Craig Fach - Crib Goch - Garnedd Ugain (Crib y Ddysgl) - Snowdon Mountain Railway - Snowdon (Yr Wyddfa) - The Scree Path - Bwlch y Saethau - Bwlch Ciliau - Y Lliwedd - Y Lliwedd (East Top) - Lliwedd Bach - Miners' Track - Pen y Pass. There is a park and ride service to Pen y Pass from Nant Peris (to the west towards Llanberis) and Penygwrd (to the east towards Capel Curig & Beddgelert) every Saturday from Easter Saturday to the last Saturday in October 2016. There is also the Snowdon Sherpa bus service that links all the main car parks and starting points for the main routes up Snowdon - including Pen y Pass - and the fare is cheaper than parking for the day at Pen y Pass (�10/day in 2016) - if you can find a space that is. You can buy tickets from the driver (Pen y Pass is pronounced 'Pen-uh-pass'). The final push onto the summit ridge is very steep and often has a large snow cornice quite late into Spring. It can be extremely dangerous for the ill equipped. 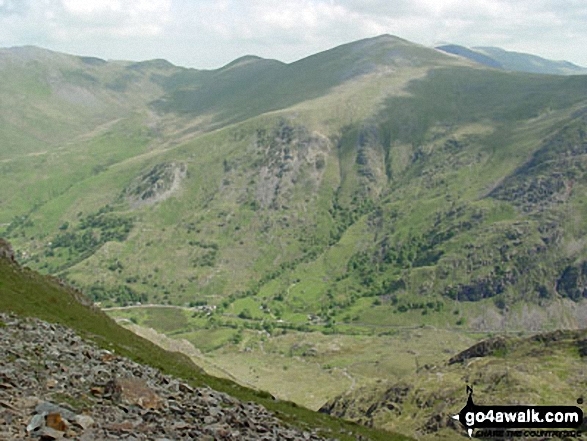 'Pyg' (as in Pyg Track) is and abbreviation for Pen y Gwryd - the hotel at the bottom of the pass. The building on the summit of Snowdon (Hafod Eryri - The Snowdon Summit Visitor Centre and Cafe) is thought to be the home of the highest house mice in England and Wales! 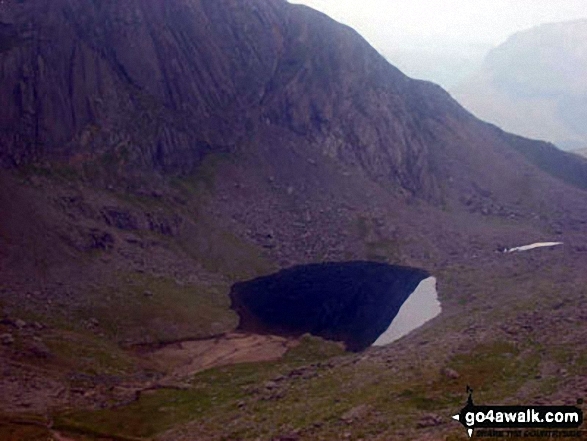 The Crib Goch ridge is not for the faint hearted. It is very exposed and airy in places and can be extremely dangerous - particularly in adverse weather conditions. 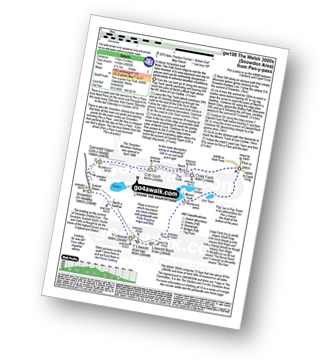 The Snowdon Mountain Railway is the only rack railway in Great Britain. It was opened in April 1896 and has been ferrying people to the summit of Snowdon ever since. 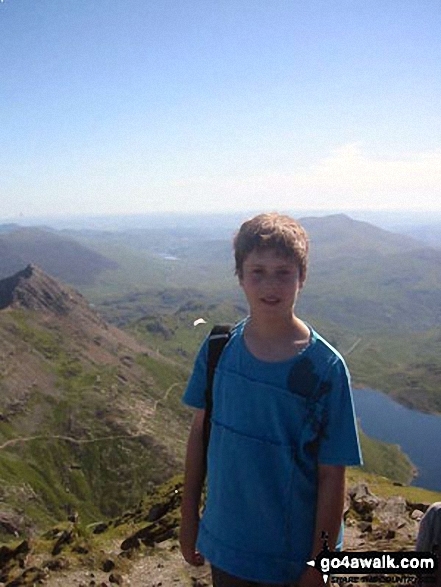 To date, the Snowdon Mountain Railway has suffered only one fatality.On the day it opened one of the engines briefly lost control near the summit, tempting a passenger to leap from the train. He died from injuries. 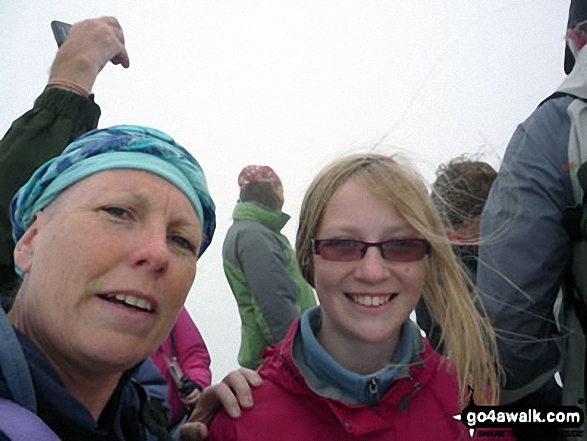 The highest point of this walk is Snowdon (Yr Wyddfa) at 1085m (3561ft). Snowdon (Yr Wyddfa) is the highest point in the county of Gwynedd, the highest point in Snowdonia National Park and the highest point in England and Wales. Snowdon (Yr Wyddfa) is classified as a Welsh Mountain (Hewitt) (1st highest in Wales, 1st highest in England & Wales) and a Wainwright (No. ). 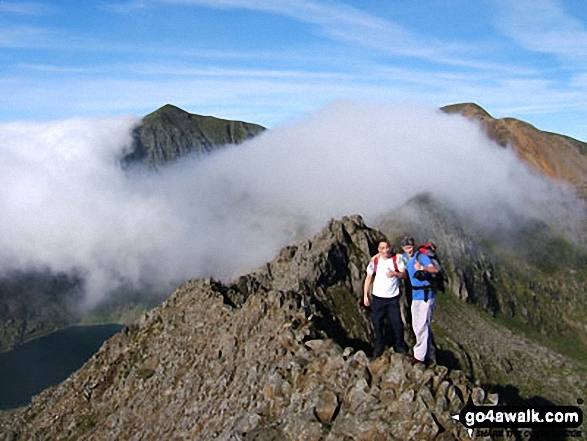 Snowdon (Yr Wyddfa) is also known as a Welsh Nuttall (1st in Wales, 1st in England & Wales). 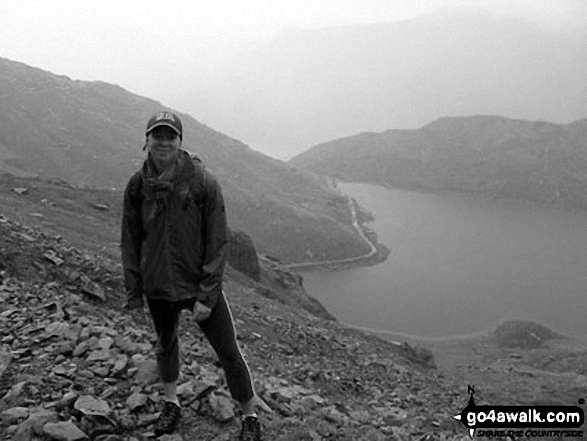 Snowdon (Yr Wyddfa) is classified as a Marilyn (1st highest in Wales, 43rd highest in the UK). 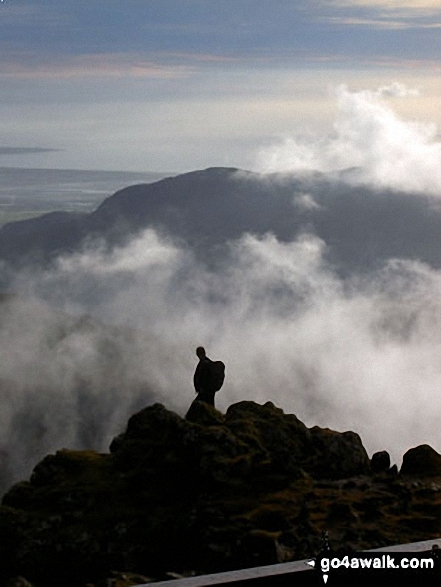 Completing this walk also take you to the top of Garnedd Ugain (Crib y Ddysgl), 1066m (3499ft). 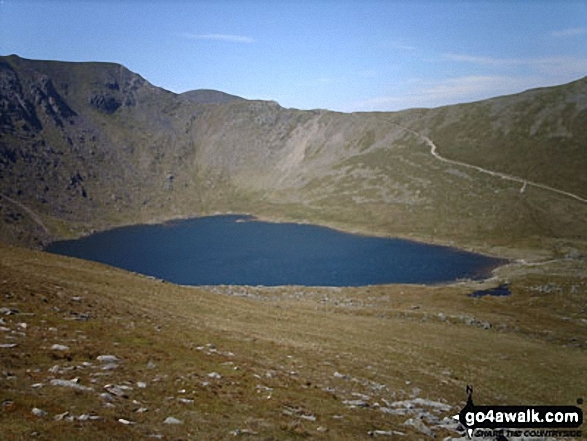 Garnedd Ugain (Crib y Ddysgl) is classified as a Welsh Mountain (Hewitt) (2nd highest in Wales, 2nd highest in England & Wales) and a Wainwright (No. ). Garnedd Ugain (Crib y Ddysgl) is also known as a Welsh Nuttall (2nd in Wales, 2nd in England & Wales). 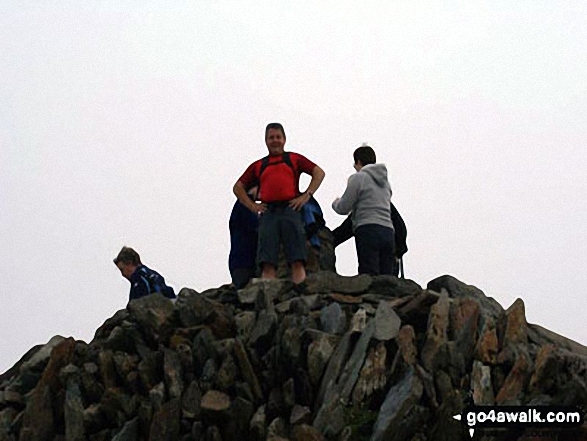 You will also reach the summit of Crib Goch, 923m (3029ft). Crib Goch is classified as a Welsh Mountain (Hewitt) (14th highest in Wales, 20th highest in England & Wales) and a Wainwright (No. ). 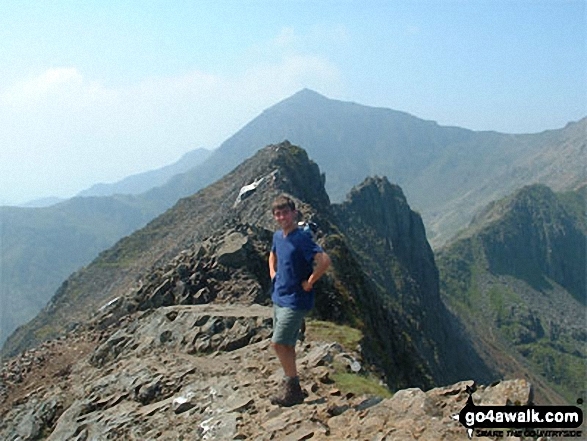 Crib Goch is also known as a Welsh Nuttall (15th in Wales, 23rd in England & Wales). Along the way you will also bag Y Lliwedd, 898m (2947ft) - a Welsh Mountain (Hewitt) (17th Wal, 26th Eng & Wal), a Welsh Nuttall (18th Wal, 29th Eng & Wal); Y Lliwedd (East Top) 893m (2931ft) - a Welsh Nuttall (20th Wal, 32nd Eng & Wal); Lliwedd Bach 818m (2685ft) - a Welsh Nuttall (37th Wal, 78th Eng & Wal) and Craig Fach 609m (1999ft) - a Welsh Dewey (2nd in Wal, 4th Eng & Wal).